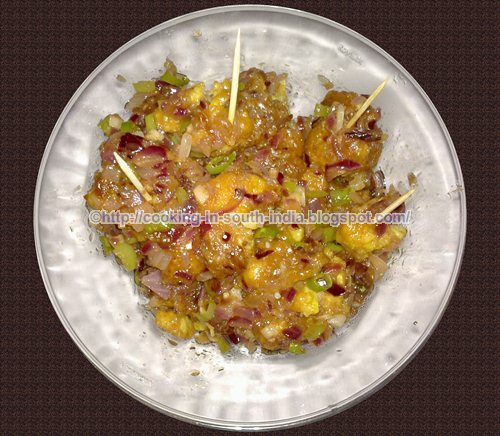 Cauliflower Manchurian / Gobi Manchurian is a Chinese recipe and the one I prepared with the mix of Indian style as Indochinese. For preparation there are two process first to prepare Gobi Fry then make Sauce and mix Manchurian with the sauce as I mentioned below. In a big vessel, add water and boil with pinch of turmeric powder and salt, add cauliflower florets in boiling water. Switch off the Stove and keep the pan closed for five minutes; make water to drain water and keep the half cooked cauliflower florets in open air to cool. 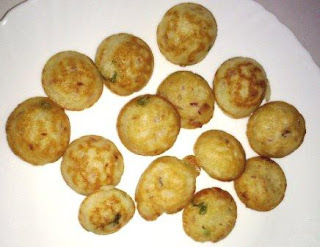 Now in a bowl mix corn flour, all purpose flour, red chili powder, pepper powder, salt, ajinomoto, ginger garlic paste then add water little by little to make a thick batter , add soy sauce finally and mix well. Heat oil in a pan, dip half cooked cauliflower florets in the batter and deep fry till crisp. Finely chop onion, ginger, garlic, green chilli and the bulbs of spring onion. Heat a pan with oil and add the above chopped items and fry till become soft and color becomes golden, now add salt, ajinomoto, soya sauce, tomato sauce, sugar and some water then boil it for few seconds, now mix corn flour with little water and add in the boiling sauce, cook for few more seconds; corn flour helps to make the sauce thick and gives a glace look to the sauce. Garnish with some spring onion leaves and serve. 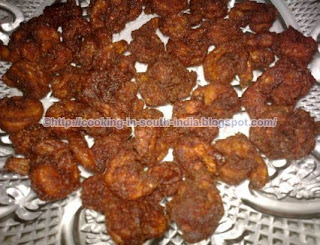 Prawns Fry is a spicy recipe, for this Recipe I used medium size Prawns. make note that while cleaning the Prawns it is better to remove the nerve or thread like thing present in the top of the body. Add all the above ingredients into a vessel and add egg then add the prawns mix it well keep it for few hours or refrigerate for 1 hour. 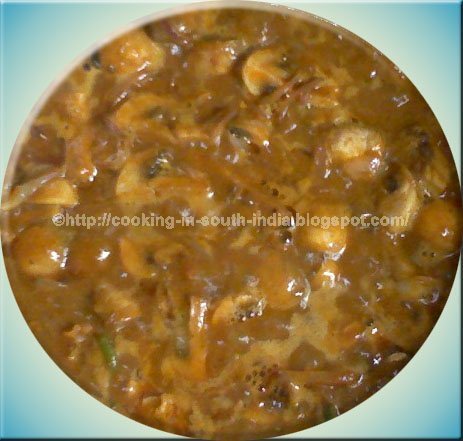 Mushrooms are edible fungi which is a good source of High-quality Protein, Vitamins, Fiber and Unsaturated fatty acids. In an hot bowel add oil, sliced onion after onion become transparent, add ginger garlic paste, fry it for few seconds. Add the Mushroom, Chicken Masala Powder, Curry Masala Powder, Red Chilly Powder, Turmeric powder, Salt, mix well the mushroom with the masala powder's fry it for 2 min, then add one cup of water. After 5 min. mix the gravy well, then add grated coconut and mix it well. 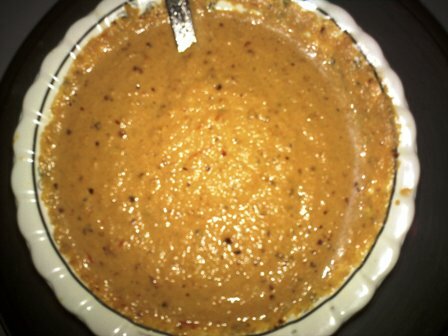 This gravy goes with Chappathi, Paratto, Dosa, Idly. 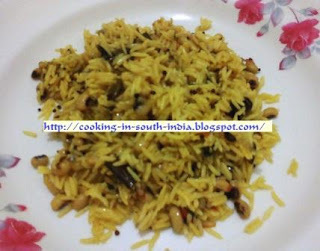 Briyani Recipe is my all time favorite. For Vegetable Briyani we need less masala while for Non-Veg we use more masala and the method is also simple. In a pressure cooker add oil, ghee then add cardamom, cloves and cinnamon then fry for a min. Then add the chili powder, Curd(Yogurt) and Lemon Juice (Optional) mix well. Add 4 cups of water, Rice and salt close the cooker give 2 whistle. 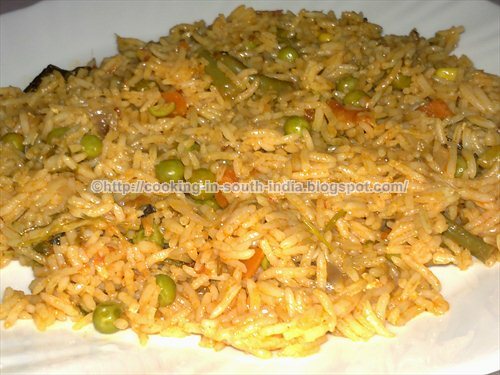 Mouth Watering Spicy Vegetable Biryani ready. Okra is often known as "Lady's Finger" in English "Vendakai" in Tamil and "Bhindi" in Hindi but in United States and some other parts of the world it is called as "Okra". It is a popular Vegetable in India. It can be cooked as a various recipes like Curry, Subji or with Sambar. 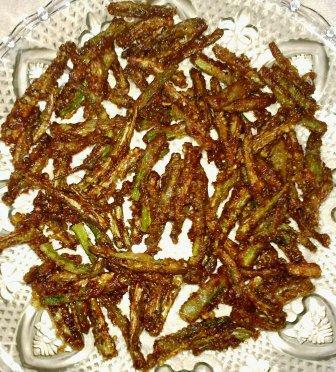 Here I am going to present you the crispy and tasty recipe from Okra called Okra fry. You can savor it as a starter. 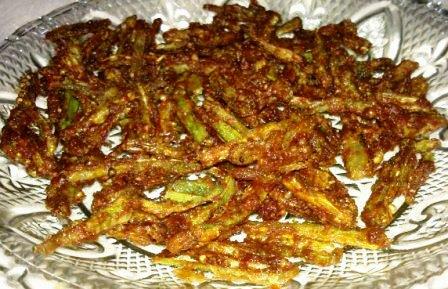 Normally few children's hate the taste of okra but it is a different one for the children's as a evening snack. Okra contains good amounts of vitamin A, vitamin C, Calcium, Minerals and Dietary fiber. This will goes with rice and also as a Starter. preparation time is less and easy to prepare. do same as another side also, cook it well. 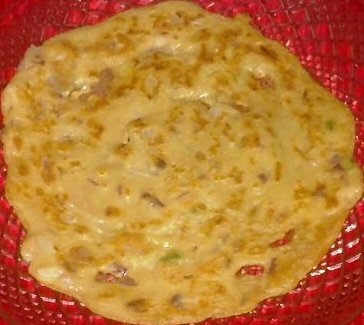 Tasty and Healthy Wheat dosa ready. in India and all over the world. Pearl millet is one variety of millet and is the staple food of farmers. 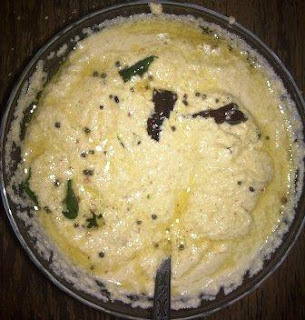 It is also called as बाजरी (Bajri in Western India), ಸಜ್ಜೆ (Sajje in Kannada); கம்பு (Kambu in Tamil); बाजरा (Bajra in Hindi, Urdu and Punjabi) and సజ్జలు (Sajjalu inTelugu). The protein content in millet is very close to that of wheat; both provide about 11% protein by weight.Millets are rich in B vitamins, especially niacin, B6 and folic acid, calcium, iron, potassium, magnesium, and zinc. 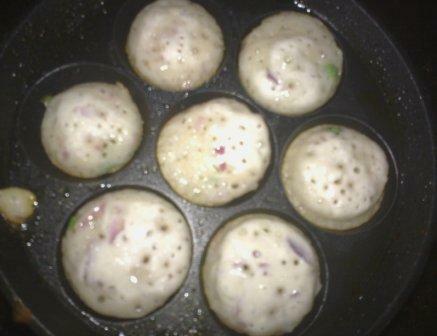 In a pan add oil add oil then add Small Onion, Green chilly fry it until the onion become transparent. 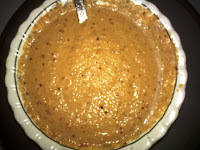 Add tomato and fry until raw smell goes then add Coriander leaves small amount (optional) and Curry leaves small amount (optional) then add Coconut and tamarind stir well and allow it to cool then add water and grind it into a paste. Everybody in this world must take care of their health and fitness. To attain good health we need to follow good nutrition and regular exercise. In order to keep healthy life we must have foods just like as nuts, fruits, vegetables, cereals etc. which are naturally available. Dry fruits are considered rich source of nutrients and regarded as delicacies. Some of the food items which comes under the dry fruits category are : Cashew nuts, Raisins, Walnuts, Almonds (Badam), Pistachio(Pista), Date (Kajur), Peanuts (Groundnut), Macadamia nuts, Hazelnut etc. Dry fruits are excellent source of minerals and contain substantial quantities of essential nutrients. They are easy to digest and help keeping us healthy. Similar to fresh fruits dry fruits have strong medicinal properties. Many people suffer from a bit of constipation and this is directly related to their diet. People tend to miss out on consuming fiber rich foods that provide the essential roughage, which, in turn, prevents constipation. Opt for eating dried fruits as they are rich in fiber, help in digestion and in general lead to a healthy colon. Dry Fruits also have many positive health benefits to pregnant women as well as to the child. Dry Fruits will take good care of the baby’s dietary requirements as well as its growth and development. 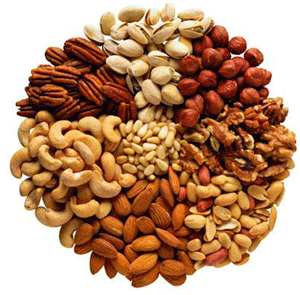 Regular intake of the dry fruits results in both mental and physical development of human body. Make a habit of having few dry fruits everyday. Methi means Vendaya Keerai in Tamil and Fenugreek leaves in English; it is a Healthy and powerful herb. Fenugreek greens are abundant in Vitamin C and Vitamin K and minerals like Potassium, Calcium, and Iron. The fenugreek leaves have considerably gained attention in stabilizing the insulin, blood sugar, hemoglobin levels and condition of diabetes and also improving the milk secretion in lactating mothers. In a bowl add Wheat flour, one tea spoon of Red chili powder, Turmeric powder, Roasted Cumin powder, Ginger garlic paste, Salt, Ghee (or) Oil adding in the dough and mix well; add chopped fenugreek leaves and make a soft by adding water little by little as required; spread 2 tea spoon of oil on the surface of the dough and keep for 15 minutes. 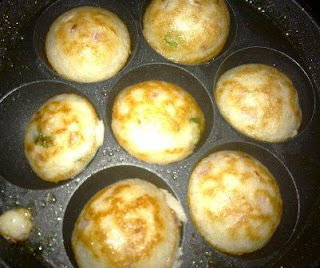 Divide the dough into small balls; roll them flat as thin as possible with a rolling pin by dusting with some wheat flour. In a hot flat pan, cook rotti both sides by sprinkling some oil on both sides, repeat this for remaining dough also. 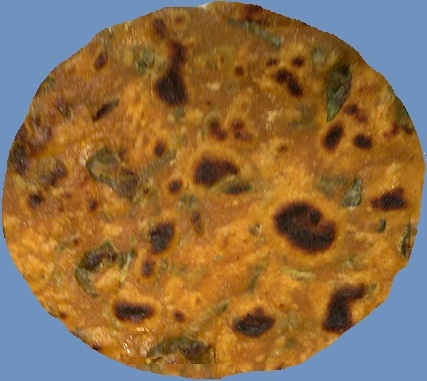 Methi rotti is ready to serve.